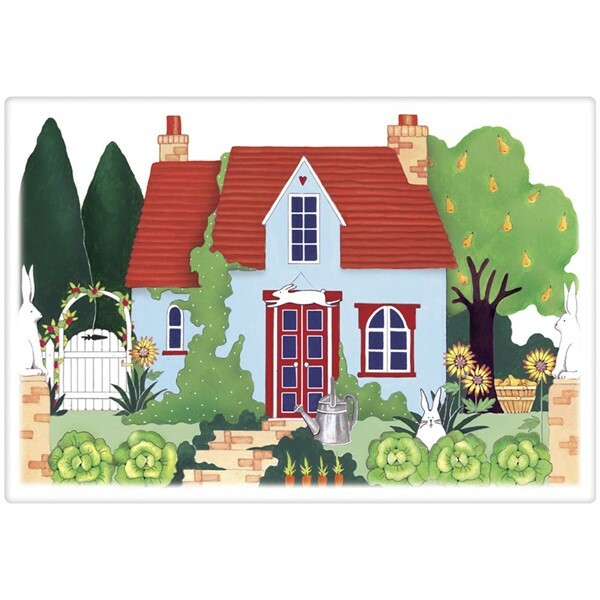 This cottage with rabbits here and there is a more subtle Easter or spring towel. Perfect for lovers of home and garden, not to mention bunnies. This flour sack towel is made of 100% cotton and is approx 30" x 30".